With a range of packaged consulting services and GIS training to your base agreement, the Enterprise Advantage Programme (EAP) allows for flexible extended support for your GIS commercial off-the-shelf (COTS) products or bespoke applications. Premium Services: Build and implement an annual work plan with a dedicated technical advisor, training and premium support services using pre-paid hours to access consulting services support. Eagle Professional Packaged Services: Select which of the pre-defined services best suit your individual needs. 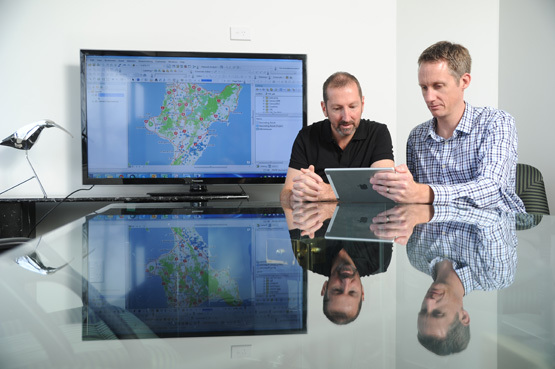 Discounts and Benefits: Receive discounted rates for GIS Professional Services, GIS training and registration at the New Zealand Esri User Conference. An adjustable level of support services: The programme's flexible configuration enables you to add premium support or premium services, technical advisory, training and packaged consulting services to your base agreement. Prioritised incident management: Benefit from prioritised incident management through managed Service Level Agreements. Personalised technical support: Our staff will have an in depth knowledge of your bespoke applications. A technical advisor who will assist in quantifying your objectives, and support requirements, work with your Account Manager and key Esri technical and industry representatives to keep you on track. Personal attention to your needs: Your technical advisor acts as your advocate within Eagle, keeping you on top of Esri's development plans, topics and best practices.